L.J.R. 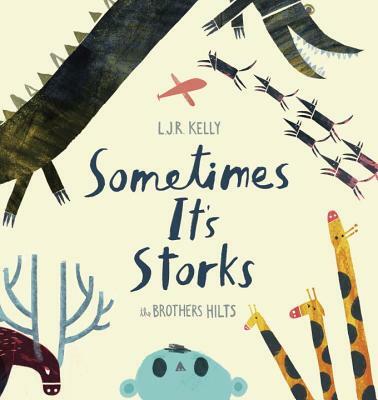 Kelly is the author of SOMETIMES IT’S STORKS, illustrated by the Brothers Hilts. Babies arrive by different means and this book covers some of the quirkiest. Kelly shares some of his family’s baby delivery tales, along with his family’s passion for stories. I truly enjoyed having this conversation with Roald Dahl’s grandson. I think you’ll like it too! Thanks for listening to my chat with L.J.R. Kelly! If you enjoyed this episode, subscribe to the podcast on iTunes or sign up to receive emails of new episodes. If you want to be my best friend in the whole world wide web leave a review for the podcast on iTunes and share this episode. Thanks again for letting me and this podcast into your life.